mtau is my new endeavor and splash into the field of consulting where I’ll be working with customers on their infrastructure from design and implementation to ongoing day to day monitoring and maintenance. New theme, cleaner, more grey! Am I wishing for fairies or does it feel faster and look cleaner? It even comes with a happy face! From nothing to adding my complete book collection; Statamic! Game of Thrones Season 3 premiere! 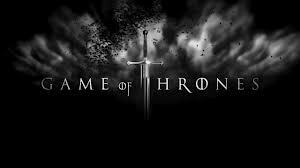 Game of Thrones, Season 3 hits the HBO airwaves and was fantastic. I hope you enjoy it as much as I did. Three children, one nerd father, a Sunday afternoon, and Python. What could possibly go wrong?